Photo facial is a skin treatment that uses light-based technology used for reducing fine lines and boosting collagen or treating various skin conditions such as pigmentation, acne, age spots, sun spots, broken capillaries, etc, thus improving the skin texture and giving an extra glow. Not all adult facial asymmetry patients are candidates for surgical correction, therefore patient assessment and selection remain major issues in diagnosis and treatment planning. This study investigated cephalometric variables for distinguishing between adult patients requiring orthognathic surgical versus nonsurgical orthodontic treatment of facial asymmetry. Facial Clear, healthy, lustrous skin can be yours at any age if you spend just a few minutes taking care of it everyday. A skincare routine should ideally start in the pre-teen years and be followed regularly for the best results. Also, a healthy balanced diet and an efficient digest-absorb-assimilate cycle inside your body are crucial for vital, healthy skin. All the facial methods including massage, scrubbing, clean up, tanning is done by using pure herbal preparation. Natural medicated scrubs are being used for the massage. Different varieties of face pack are using according to texture of skin and body nature. Haridra is manufactured & marketed by Royel biocare, contains Curcuma Longa with which many health benefits have been associated. Kai Haridra is a HALAL & Kosher certified products and is produced under International GMP regulations. We at Aarogya understand that your skin needs to breath! Indulge yourself in a variety of facials using essential oils, natural extracts that clean, exfoliate and nourish your skin. Benefits: This treatment is designed to provide a soothing and grounding effect, improve the skin luster, add glow to the face, reduce pigmentation & black spots, reduce dark circles etc. With Mukhalepam treatment, skin tone improve considerably and wrinkles reduce visibly. Mukhalepam is essentially a herbal face pack with specially made herbal powder and fresh cream.This is also good for the eyes. This deep hydration treatment has been specially developed to bring freshness, vitality and glow to matured and dry skin. A nourishing mask is used to stimulate the skin, prevent premature aging and reduce signs of tiredness. This is a special beauty therapy meant to cure acné and pimples and reduces wrinkles. The facial is performed by using medicated cream or oil, followed by applying an herbal pack on the face. 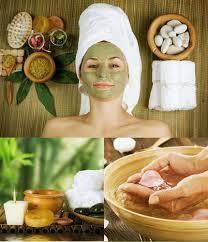 The process also cleanses the face, nourishes the skin, improves the complexion and makes it glow. Ayurvedic facial both nourishes and exfoliates the skin. Milk softens and cools the skin and loosens up pore-clogging particles. Hot steam opens pores and the herbal paste removes impurities and helps to restore the lipid and moisture levels of the skin. This brings natural radiance to the face improving the skin tone and texture. 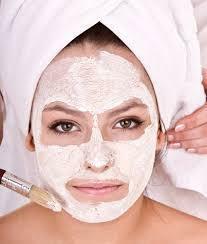 We are one of the best Forever Facial Treatment provider in Pune. Bell’s palsy is a disorder of the nerve that controls movement of the muscles in the face.Damage to this nerve causes weakness or paralysis of these muscles. Paralysis means that you cannot use the muscles at all.